Today, Downtown Project launched their new community app, which is available in the Apple App store. 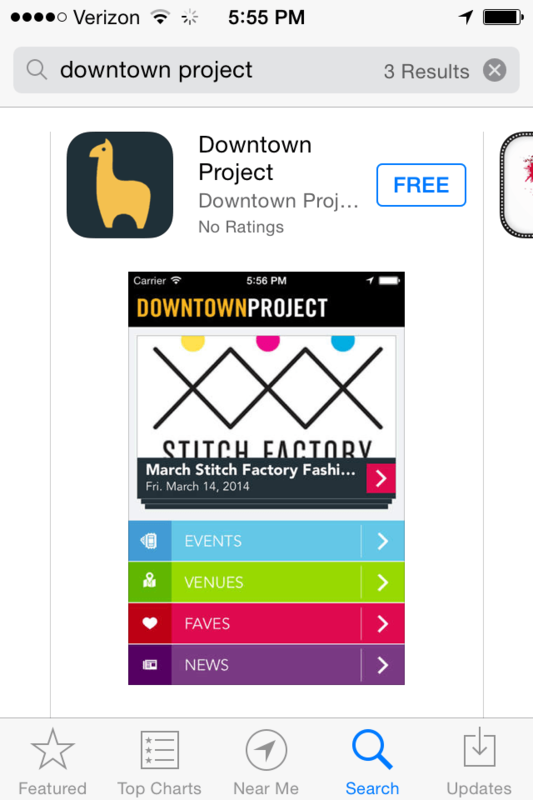 Download the free DTP App to keep up with many of the latest happenings in Downtown Las Vegas. The team at Downtown Project says they were really lucky to work with Vegas Tech’s own Raster Media to build the app. When asked about the challenges with developing the app, Kim Schaefer said much of the work on the app was spent on the calendar feature. So, what’s Kim’s favorite feature on the app? “I’m not going to lie–I love that the icon for the app itself is a llama. It’s too funny and too cool,” she said. Be up-to-date on events happening in Downtown Las Vegas. Learn about live music performances at venues including Downtown Container Park and Gold Spike, and soon The Bunkhouse. Want to hear a great speaker? Those details are here, too. With events information ranging from happy hours to healthy options, you’ll have a wealth of information at your fingertips to help you collide and connect Downtown. More about Downtown Project: We are a group of passionate people committed to helping to transform Downtown Las Vegas into the most community-focused large city in the world. We are doing that by inspiring and empowering people to follow their passions to create a vibrant, connected urban core. We’ve allocated $350 million to aid in the revitalization of Downtown Las Vegas. We’re investing $200 million in real estate, $50 million in small businesses, $50 million in education, and $50 million in tech startups through the VegasTech Fund. More about Raster Media: Raster Media is a full-service web, mobile, cloud and enterprise design & development software firm located in Las Vegas, Nevada. We do all of our projects in-house with our full team of award-winning designers and developers. Raster Media specializes in custom, effective, intuitive and user friendly web, cloud based and mobile software applications. Our development process involves executing a 360 degree strategy encompassing design, usability, technical development, business strategy and support. Can’t wait for the android or web version so that anyone can use it! Thank you guys for putting this together! I am a designer who is new in town and this is an incredible resource for people new to Vegas. Love the llama! Welcome, Amanda! Hope to see you at some of the events downtown. DowntownPodcast.tv is filming tonight (and every Thursday) and we’d love to see you there!